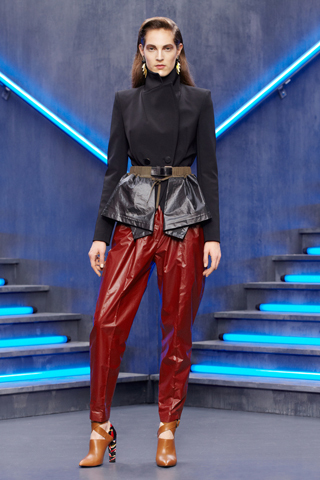 Nicolas Ghesquière returned back to the eighties. 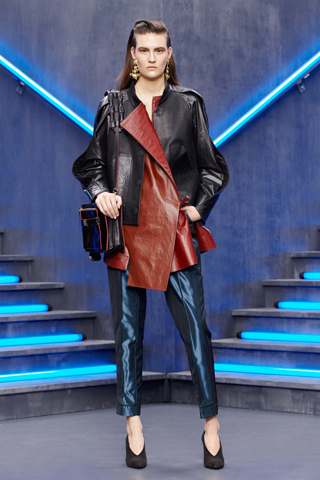 With mixed prints, high-tech fabrics, colored opaque tights and ankle booties you can make your own Balenciaga pre-fall look. I love the proportions and the silhouette. 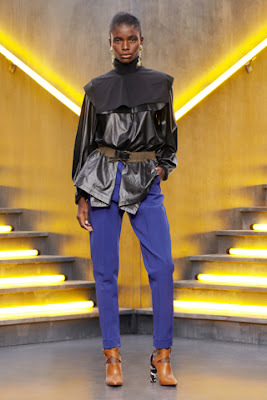 Lazaro Hernandez and Jack McCollough from Proenza Schouler got their inspiration from a recent trip to the Himalayas. As we know Proenza Schouler they presented us the sporty chic look. With classic clothing with a modern twist in a color palette of black, green, light blue, red, mazarine and purple. By the way: I love that red sweater!